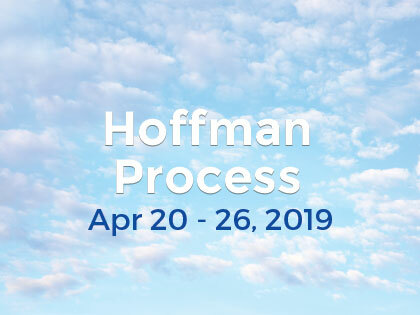 I had heard about the Hoffman Process for years, mainly from two wealthy and successful businessmen who both told me, when I’d ask about it, “Just go.” In the summer of 1996, I was travelling around Australia for 3 months and saw an ad by the Hoffman centre, and thought, “well, just go.” So I did. It’s now 17 years later. Looking back, I can see what I learned: Emotional Intelligence. I found out that to experience the best in life—to feel a sense of well-being, to feel happy, and on purpose—a human being has to have access to their full spectrum of emotion. Even the crappy ones, like sorrow and horror and rage, If some of ones emotional spectrum can’t be expressed, then there will be a glitch in the fabric of life, and that glitch will show up in all sorts of tweaked behavior, repeatedly, until we learn how to experience those missing emotional expressions. For me, prior to the Hoffman week, the one missing emotion was anger. In situations where the appropriate emotion should’ve been anger, I felt collapse and hopelessness instead. That all changed from that weeklong intensive. The really interesting thing for me is that my improved emotional intelligence got better and better over the following years. I never did an ounce of the homework we were given after the class (whoops! ), and for a while, I felt guilty about that. But then I realized I had gotten the transmission: I had somehow turned on some new insight in my brain and nervous system, enough to figure out how have access to the full spectrum of emotions in life. Emotional intelligence changes everything. It took me from being reactive and ineffective to being present and impactful, especially in those situations where others are falling apart or going into shock. For me, it becomes the only way to live. Thanks for that week.